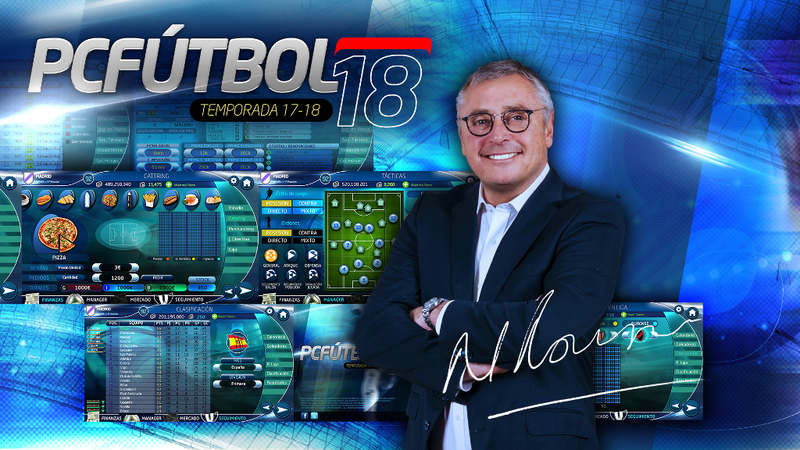 PC FOOTBALL 18: The mythical PC Football is back completely renewed and with new functionalities. Control your club: signings, trainings, finances and other fundamental aspects. Bring your team to the top! The mythical PC Football is back in Mobile/Tablet/PC-MAC format completely renewed and with new features! This exciting football manager will be available in Mobile/Tablet during November and for PC in early 2018. Control your club: signings, trainings, finances and other fundamental aspects. Bring your team to the top! Hire star players, schedule your workouts, expand your stadium, select the canteen catering and many more to make your club the best in the world! - Completely renewed interface based on the classics PC Football . - Traditional game modes (Euromanager). - 9 international leagues with more than 20,000 players and 1,000 teams. - New valuation statistics and player parameters. - New system of advanced tactics. - Compatible between Mobile/Tablet/PC-MAC platforms. Relive wonderful memories with the game that changed you forever! - New training screen that complements the lineup screen. At the request of the community, players are now placed following another mechanic. - New tactics screen, with indications. - Added the two halfs of the match. - Now the day of the box advances as the game progresses and you do not have to move it manually. Give us your opinion on this post.